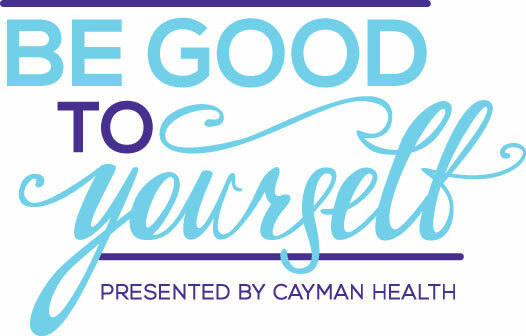 “Be Good to Yourself” with Cayman Health and win 1 of 4 weekly prizes or the grand prize staycation! 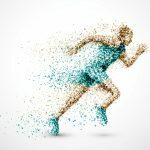 Pinnacle Media Ltd. is partnering with The Wyndham Reef Resort, TimeOut Mobile Massage Cayman, Saucha Conscious Living, Vitamin Sea Cayman Islands and Quinntessential Movement. We are giving you the chance to win amazing prizes like an in-home massage for 2, a gift basket of healthy goodies from Saucha, an intro to paddle class for 2 with Vitamin Sea or a one month unlimited class pass to Quinntessential Movement. Or take home the grand prize! A 2-night staycation for 2 at the Wyndham Reef Resort including dinner for 2. To win, all you need to do is “like” the Cayman Health Facebook page AND “follow” the Cayman Health Instagram. It’s as simple as that! Do both, are you are entered to win! We will be announcing a winner each Monday for 5 weeks starting on August 14th. For more information, please see our terms and conditions. 1. “Be Good to Yourself” is a social media campaign contest of Pinnacle Media Ltd. in partnership with The Wyndham Reef Resort, TimeOut Mobile Massage Cayman, Saucha Conscious Living, Vitamin Sea Cayman Islands and Quinntessential Movement. 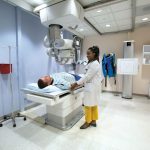 This campaign for Cayman Health will be presented on Facebook, Instagram and caymanhealth.com, The Cayman Compass newspaper and online at caymancompass.com. 3. The grand prize is a 2-night staycation for 2 at the Wyndham Reef Resort including dinner for 2 on the first night of stay valued at approximately $600USD . The staycation reservations are dependent on availability and must be booked in advance. 4. Pinnacle Media will start the Cayman Health “Be Good to Yourself” 2017 Contest on Monday, August 14, 2017. 5. The Contest can be entered online by “liking” the Cayman Health Facebook page AND following cayman_health on Instagram. 6. Both pages must be liked/followed in order to be eligible to win any of the prizes. 7. The Contest will end at 11:59 a.m. on Monday, September 18, 2017. 8. The winner of the “Be Good to Yourself” 2017 Contest will be announced weekly each Monday between August 21 and September 18. The winner will be contacted accordingly. 9. The “Be Good to Yourself” 2017 Contest is open to any resident of the Cayman Islands aged 18-years-old or older. Pinnacle Media employees, along with other contest partners, and their immediate family are not eligible to enter. 10. Pinnacle Media makes no representations or warranties, and there are no conditions of any kind, express or implied, with respect to the prize offered through this “Be Good to Yourself” contest. 11. The winner must agree to have his or her picture and name published in Pinnacle Media publications. Photos will be taken at the Compass Centre in the Pinnacle Media photo studio.